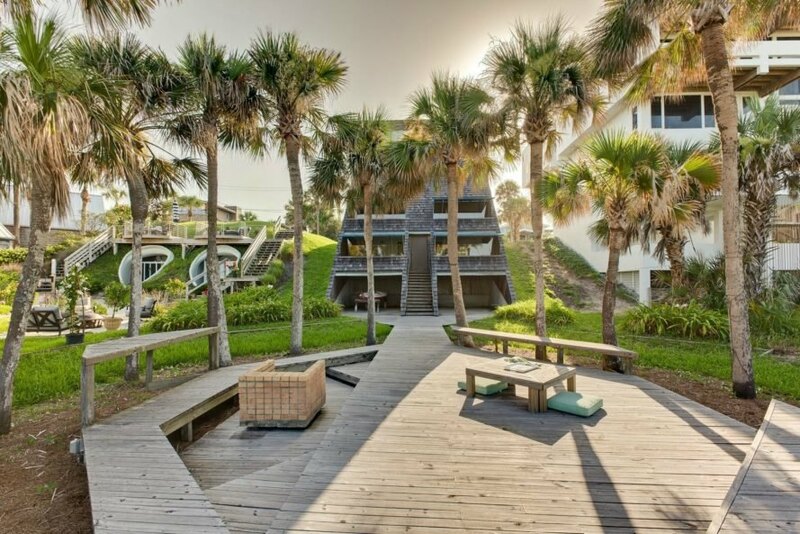 A beautiful beach-front home by renowned architect, William Morgan just hit the market for $1.75 million – and while that is a huge chunk of change, you get quite a lot for your money. 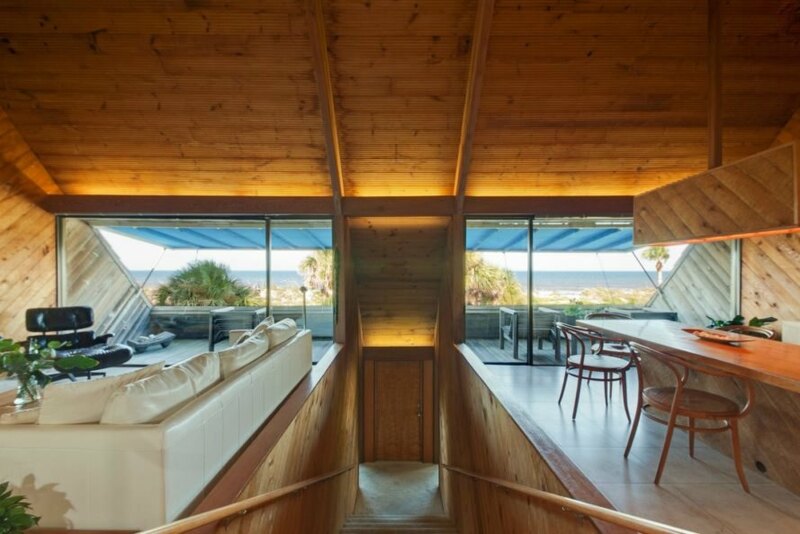 Designed to be the architect’s family residence, the wooden, three-story house takes the form of a slanted triangle, and it’s strategically designed to give unreal views over the Atlantic Beach coastline in Jacksonville, Florida. More than just a quirky architectural whim, the stepped design also created an amazingly open living space on the home’s interior. The space is clad in honey-toned cedar wood panels throughout, with ultra-high slanted ceilings and plenty of windows and glass doors that lead to the home’s four open-air terraces. 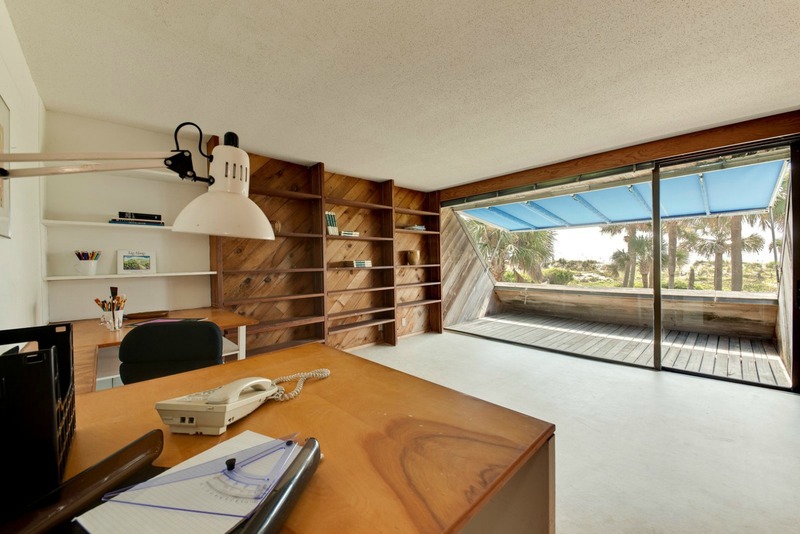 As a bonus, the new homeowners of this remarkable home will be living next door to another William Morgan work, the earth-rammed, two-bedroom Dune House that the architect built into the adjacent sand dune to protect the “ecological character” of the landscape. 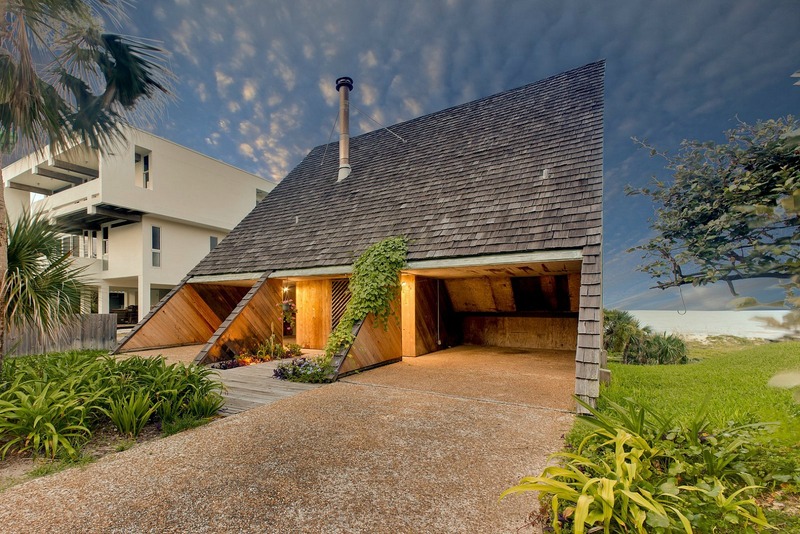 A beautiful beach-front home by renowned architect, William Morgan has just hit the market for $1.75 million. 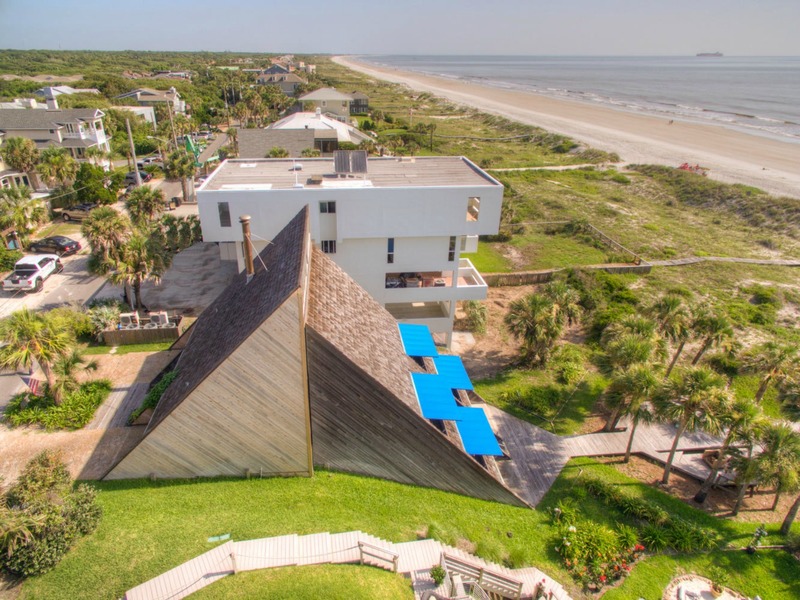 Designed to be the architect’s family residence, the wooden, three-story house is a slanted triangular structure, strategically designed to give optimal views over the Atlantic Beach coastline in Jacksonville, Florida. Morgan built the stunning 1,800-square-feet home in 1972 for his family. One side of the home faces the street entry and the other side overlooks the grassy incline that leads to the beach. More than just a quirky architectural whim, the stepped design also created an amazingly open living space on the home's interior. The space is clad in honey-toned cedar wood panels throughout. The home has ultra-high slanted ceilings and plenty of windows and glass doors that lead to the home's four open-air terraces. The home's interior is illuminated by a number of large windows and glass doors. 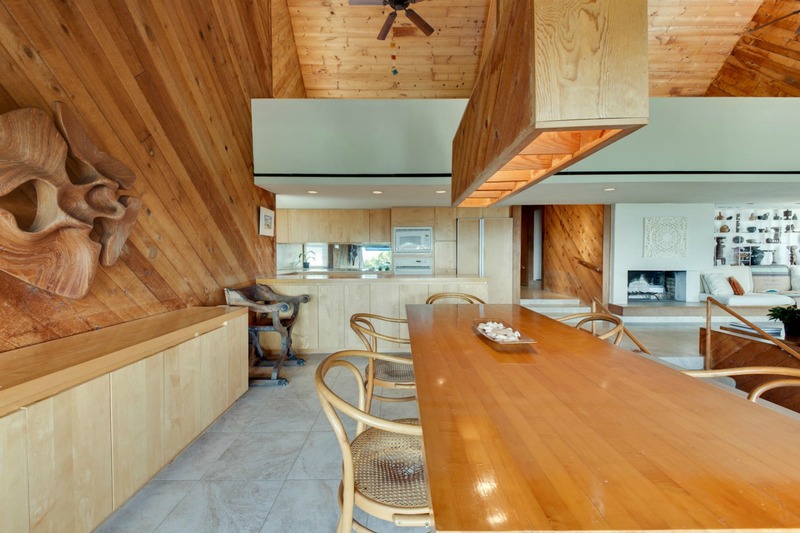 The interior of the home is clad in honey-hued cedar panels. Architect William Morgan built the home for his family in he 1970s. 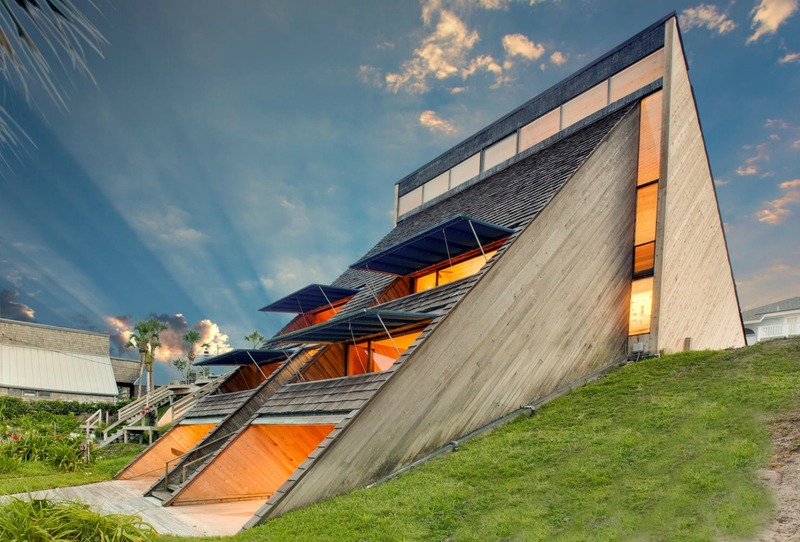 The home's triangular shape resulted in a large, open air interior. The living space is homey and welcoming. There are three bedrooms as well as office or studio spaces. 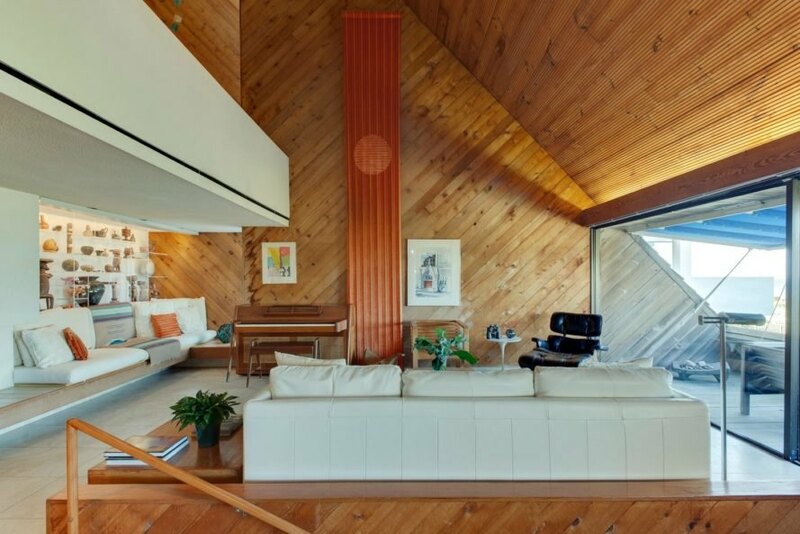 Two triangular masses make up the home's volume. According to scholar Robert McCarter, the unique design as "inspired by the stepped structure of the ancient Roman seaside town of Herculaneum."